Preached at Jubilee last Sunday night on building with gold, silver and precious stones - how we build the church. Included this great version of the three little pigs ("Wolf-Side story"?) 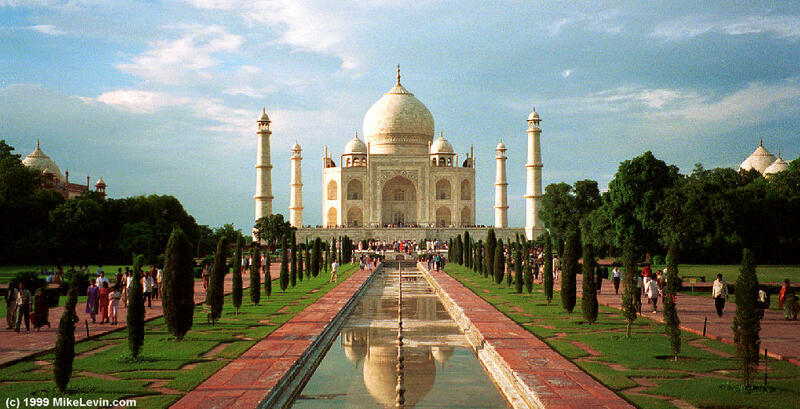 and a picture of the Taj Mahal, contrasted with the Cardboard House mentioned last week on Slashdot. What kind of church are we after? Something temporary or something permanent, something functional, or something of beauty? We need to build Love, Obedience, Passion for spreading God's glory (Jim Elliot quotes) as well as Persistent Prayer, Faithfulness and Commitment, Sacrifice and Suffering and Discipleship. We need to avoid building mere structure. Building on the precious foundation of Christ, building for eternity means we cannot settle for less. And God supplies the materials by his grace (v10) so we don't ever have to settle for less. Felt like it was delivered OK, people encouraging afterwards. Presentation here [dead link] and low-quality MP3 here. Met up with Mahle today who is interested in making a Xhosa Children's Bible or at least part of one. Last night at church we had the final of three training seessions on being a multi-cultural community in South Africa. Jabu spoke about his experiences in the struggle, going to prison, what God did in his life. It reminded me of The Heavenly Man. Then Charles from the Foundation for Church-led restitution spoke about giving his farm for restitution to those who have been wronged, and Alastair spoke about restitution too ... Steve wrapped it up with presenting the education fund Jubilee is starting as a part of restitution.